In the years since the Brexit referendum, I have speculated wildly on what the final deal might hold, how much the pharmaceutical industry should worry, and what this might mean for patients. While I was speculating wildly, negotiators were hammering out the details of everything from pharmaceutical market authorization to the fate of Gibraltar — a job I certainly don’t envy. The scale of the task — speaking only of the pharmaceutical industry aspect of Brexit — should not be underestimated. According to trade groups, approximately 45 million packs of medicines leave the U.K. for Europe every month, and 37 million go in the opposite direction. In a year, that’s almost 1 billion packs of medicines. What those borders would look like after a Brexit deal would significantly impact major industries in the U.K. and EU economies. So, now that a deal has been announced and will potentially be adopted, what does it mean for pharma? Technically, two documents comprise the Brexit “deal” agreed upon by negotiators. The Draft Agreement on the withdrawal of the United Kingdom of Great Britain and Northern Ireland from the European Union and the European Atomic Energy Community is a 585-page document unveiled on November 14 that actually has very few mentions of medicinal products and their regulation. The other document, the Political Declaration Setting Out the Framework for the Future Relationship Between the European Union and the United Kingdom, is a 26-page political declaration introduced on November 22 that has even fewer mentions. The draft agreement provides for a transition period that the U.K. and the EU agreed to earlier this year, which would last from the divorce date of March 29, 2019, until December 31, 2020, and could theoretically be extended as late as 2022. During the transition period, the U.K. would continue to follow EU rules and regulations while negotiations on a final trade agreement continue. Basically, this would buy everyone more time to adjust, but also prolong the uncertainty. U.K. Prime Minister Theresa May has long expressed a desire for very close alignment with the EU post-Brexit, a view not necessarily echoed by everyone in her party or cabinet. This includes continued participation of the Medicines and Healthcare products Regulatory Agency in the European Medicines Agency’s (EMA’s) dossier reviews and joint scientific deliberations, but it is unclear how politically viable this would be. Going by the draft agreement, the answer is not very. While not addressing the issue explicitly, the agreement does state, “subject to exceptions, the U.K. will no longer participate in meetings of Member State groups.” More specifically, the draft agreement also outlines that even during the transition period, the U.K. would be left out of the regulatory process for new medicines. This means new medicines arriving on the market will likely have to treat the U.K. and EU as separate markets as early as the divorce date. However, the draft agreement is a bit kinder to drugs already on the market. 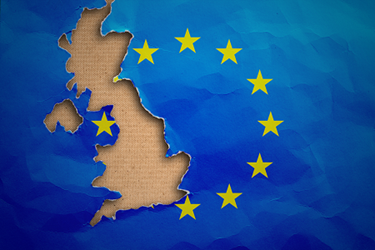 Many goods, drugs and medical devices included, that are already on the market can continue to be traded, and the U.K. and EU states will provide each other with marketing authorization dossiers for drugs authorized prior to the end of the transition period. Such a provision should at least smooth out some of the supply chain fears and shortage concerns that have troubled many in recent months. While the draft agreement did somewhat address the market authorization and trade aspect of the pharmaceutical market, some areas were not discussed in the document. These include the future of clinical trials, recent efforts to promote increased collaboration in health technology assessments, and the question of parallel imports. The political declaration did not provide much in the way of additional details. The text calls for an “ambitious, wide-ranging, and balanced economic partnership” between Britain and the EU after Brexit, including a commitment to negotiate “a free trade area, combining deep regulatory and customs cooperation, underpinned by provisions ensuring a level playing field for open and fair competition.” Unfortunately, it remains unclear how frictionless the trade would be, as the details would have to be finalized during the transition period negotiations. One aspect that should excite many in pharma in the EU and U.K. is explicit mention of a commitment to “explore the possibility of cooperation of United Kingdom authorities with Union agencies such as the European Medicines Agency [EMA], the European Chemicals Agency [ECHA], and the European Aviation Safety Agency [EASA].” For months, it has seemed the EU and its negotiators were not amenable to the idea of the U.K. participating in EU agencies without membership, but perhaps all hope is not lost. Maybe the U.K. will be able to have it all. So, what does this mean for pharma? As already noted, a deal with a transition is a positive thing on the whole. The transition time would allow companies, particularly smaller ones with less resources, to adapt to new regulatory requirements and manufacturing and supply issues including customs arrangements, hopefully minimizing possibilities of shortages. The transition period should also allow larger companies with international workforces in the U.K. and the EU to manage the implications for their staffs. Ultimately, though, the possibility of a “hard Brexit” (a no-deal Brexit where the break is swift) has been occupying the minds of pharmaceutical manufacturers since the referendum, and companies have had to prepare for that eventuality, all while hoping for a much softer result. Unlike politicians, pharmaceutical manufacturers that are responsible for supplying 1 billion packs of medicines annually do not have the luxury of taking a wait-and-see approach. As a result, contingencies are in place for a hard Brexit and it’s unlikely the reversible ones will be reversed. For example, in the cases of marketing authorizations that have been transferred from the U.K. to other EU countries, there would be no sense in transferring those back. In many ways, Brexit has already started for pharma, and it’s not a soft one. The Leader of the Opposition (to Theresa May), Labour Leader Jeremy Corbyn, called the political declaration "26 pages of waffle,” and members of parliament from both sides of the aisle were quick to criticize both the draft agreement and the political declaration. A number of May’s cabinet members resigned, including the Brexit minister — and he was not even the first one. Overall, though, reaction from industry has been mild relief. The European Federation of Pharmaceutical Industries and Associations, the main EU industry group, released a statement indicating they were encouraged by the commitment to free trade and customs cooperation, particularly the references to possible cooperation with the EMA. The Association of the British Pharmaceutical Industry (ABPI) said it welcomed the agreement for a transition period, which would prevent a disruption in the drug supply during that time. However, ABPI was concerned about the lack of details, particularly the lack of clarity regarding pharmacovigilance, public health, and infectious disease control, as well as science and innovation. Presumably, this will all be ironed out in the transition period. Assuming there is one, of course. EU leaders gathered in Brussels on November 25 and endorsed the withdrawal agreement and political declaration outlining the terms of the U.K.’s exit from the EU. They agreed the deal was the best anyone could hope for, telling British members of parliament it is “the only deal possible” and negotiations would not restart if the U.K. parliament does not approve the deal. The deal will be voted on by the U.K. parliament on December 11. The parliament is expected to be a particularly difficult hurdle, and May has not ruled out resigning if it fails. If the deal fails to pass parliament, the likelihood of a no-deal Brexit increases exponentially. Luckily, pharma has been quietly preparing for that eventuality all along.